Tristan Gray does not have any MLB stats for the season. Draft: 2017, Pittsburgh Pirates, 13th rd. 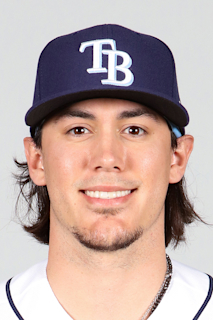 March 5, 2019 2B Tristan Gray assigned to Tampa Bay Rays. September 5, 2018 2B Tristan Gray assigned to Montgomery Biscuits from Charlotte Stone Crabs. February 22, 2018 2B Tristan Gray assigned to Charlotte Stone Crabs. June 24, 2017 2B Tristan Gray assigned to West Virginia Black Bears. June 20, 2017 Pittsburgh Pirates signed Tristan Gray.